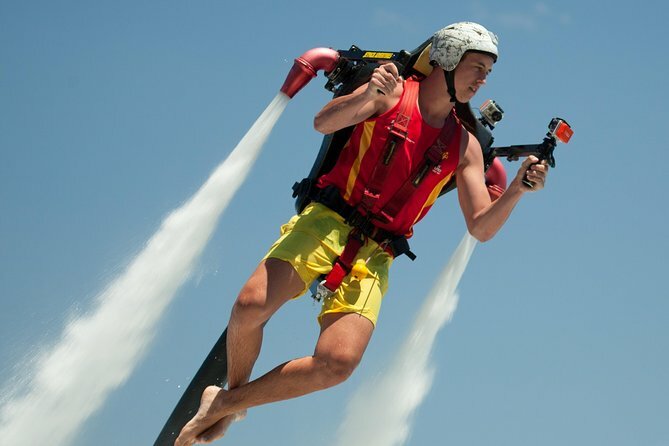 Inspired by James Bond, Australia introduced its first jetpack experienced in 2012. The now popular experience has you flying through the air as you’re propelled by the 20-meter hose and 2-jet nozzles attached on your back within a pack. With a 5-point safety harness, you’re secured in for an experience you’ll never forget. 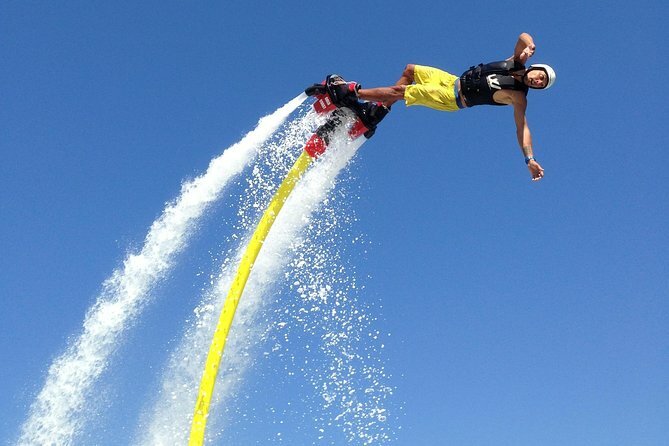 If flyboarding is more your style, fly through the air with a water propelled jet attached to your feet allowing you to dive through the water like a dolphin or soar through the air like superman. Or take on the newest device... the Jetovator. A water powered bike where you simply ride it like a bike, just at heights over water! Offered at Main Beach in the Cities Centre, close to the Main Beach tram station and walking distance to world famous beaches, the Gold Coast location has the perfect surroundings for this unique experience. All experiences come with 2-4-1 dining at the Southport Yacht Club only 50meters away from our flight location. Each experience lasts for approximately 30-minutes and includes a pre-flight briefing where your professional guide will explain all you need to know to make the most of your flight time as well as set you up with a wetsuit, life jacket and radio helmet. Next, take part in a short 10-minute water demonstration and training session before you enjoy your own flyboard or jetpack experience, where you are in control! Then, relax waterside with a refreshment or check out the video we filmed for you. Feel free to bring your own camera or purchase images on the day (own expense) before ending your thrilling experience. 30 minute Jetpack or Flyboard or Jetovator Experience (training + 10 minutes actual air time) - choose on day.